Over the past ten years, there has been a significant shift in how we as inbound marketers need to interact with our customers. In 2008, the opus focus was to use SEO and leverage content with keywords to attract prospects. A decade later, this strategy no longer produces the same results because we have all been doing the same thing—drowning our potential customers in a sea of information, emails, and promo deals—and overlooking what we really need to do in order to succeed, adapt. 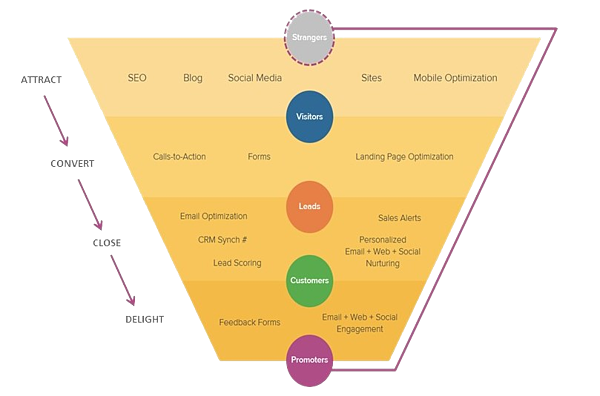 The Inbound Marketing Funnel model infuses sales and marketing into every step of the buyer's journey, with all the associated information raining down upon the prospects of that particular business. This model created a novel way to prioritize customer interactions. And yet, as the years progressed, business owners realized that it stopped working. The Inbound Marketing Funnel ceased to be relevant for one simple reason, it is concerned primarily with closing deals, not fostering relationships. 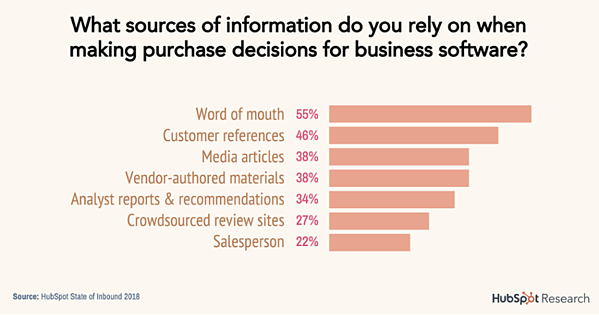 Most of us would agree that the best way to increase awareness of any business is by word of mouth (whether it's on social media or over a cup of coffee). Take a look at this graphic built by HubSpot’s Research Team. We inbound marketers are constantly trying to build trust with our potential customers, and yet, our customers still trust each other more than they trust us. Let's say you are in the market for a new vacuum cleaner. You may consult Bissel or Hoover’s website to see some product descriptions. You may even stay on that page to conduct a little research and find out why they think their respective product is the best. The fact of the matter is, whether it be Bissel or Hoover, both of their marketing teams will tell you that their product is the top performer. If you are like the majority of consumers today, you like to dig a little deeper. Your potential customers now look to sources of information like Amazon’s product reviews—written by consumers, for consumers; because it’s easier to trust one of your peers than a marketer or salesperson. At the center of HubSpot’s Flywheel are the customers: putting an emphasis on their desires, happiness, and continued satisfaction. This idea represents a new philosophy in how we manage our customers—we let them manage us! 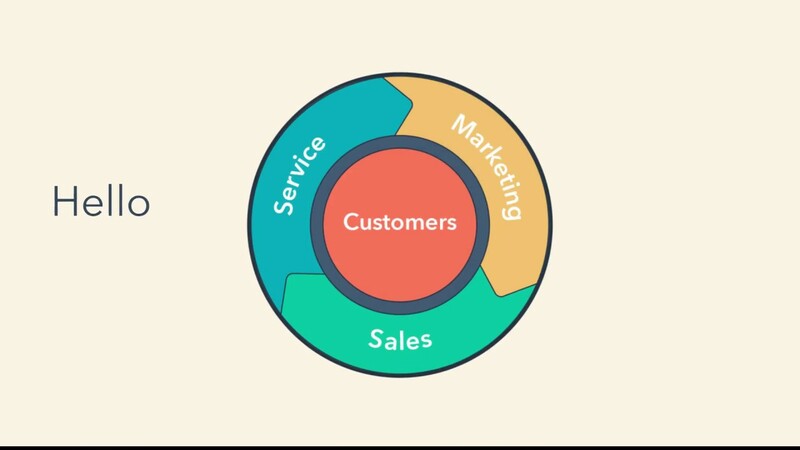 Surrounding the customer nucleus are the three parts of your business: Sales, Marketing, and Service; with all of the inertia and momentum being generated by the customers. The Flywheel is a symbol that represents a philosophical shift in how your business interacts with its customers. If your sales, marketing, AND service teams work tirelessly to ensure every customer experience is a positive one based upon feedback from the customers themselves, the flywheel will be able to spin faster and faster as the success of your business grows and grows.